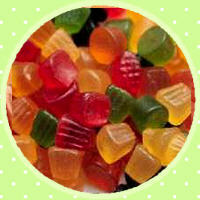 The classic fruit pastille, encrusted with sugar. 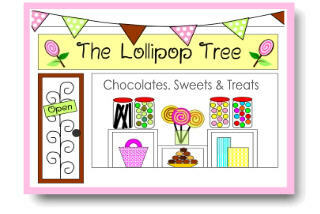 ...the one's with the Liquorice gum! A full flavoured, chewy gum. 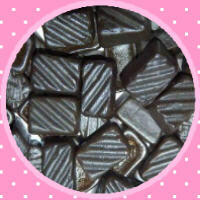 A true liquorice classic! Not as strong as the liquorice gums, but just as yummy. 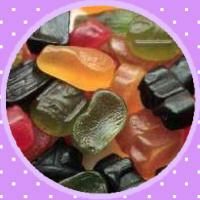 Dad's favourite...the one with the liquorice gum! No one makes them as chewy and fruity as Lion's do. SPORTS MIXTURE ingredients: Glucose Syrup, Sugar, Water, Beef Gelatine, Potato Starch, Citric Acid, Licorice Powder, Flavourings, Vegetable Oil, Natural Colours (Vegetable Carbon, Anthocyanins, Paprika Extract, Lutein, Chlorophylls), Acetic Acid, Glazing Agent (Carnauba Wax). 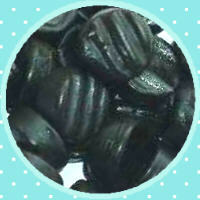 LIQUORICE GUMS ingredients: Glucose Syrup, Sugar, Water, Beef Gelatine, Potato Starch, Licorice Powder, Natural Colour (Vegetable Carbon), Palm Oil, Glazing Agent (Carnauba Wax). 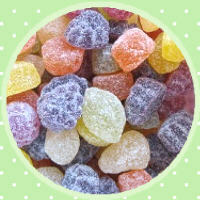 FRUIT PASTILLES ingredients: Sugar, Glucose Syrup, Modified Potato Starch, Gelatine, Citric Acid. Allergens: May Contain Traces Of Milk . 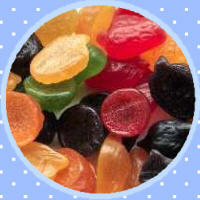 MIDGET GEMS ingredients: Glucose Syrup, Sugar, Water, Beef Gelatine, Modified Potato Starch, Citric Acid, Liquorice Extract, Flavourings, Vegetable Oil, Acetic Acid, Colours (Chlorophyll, Vegetable Carbon, Paprika Extract, Carmines, Curcumin, Lutein), Glazing Agent (Carnauba Wax). FRUIT SALAD ingredients: Glucose Syrup, Sugar, Water, Beef Gelatine, Potato Starch, Citric Acid,Natural Flavouring,Natural Colour, Acetic Acid,Glazing Agent, Carnauba wax.